So I knew I hadn’t posted for a bit, but I didn’t realise it’s been nearly three whole months since I posted anything. Partly it’s because I got ill, which wrote off August, then September was spent holding the fort because Jon was going for a promotion (which he’s got) and spent every weekend either working on his job application or interview practice, so I ended up having to do a lot more house jobs and cooking during the week instead of sewing. In the past couple of weeks I’ve been working on stuff, but although very straight forward, it’s a larger project than I tend to do these days so it’s taking multiple weeks to finish. 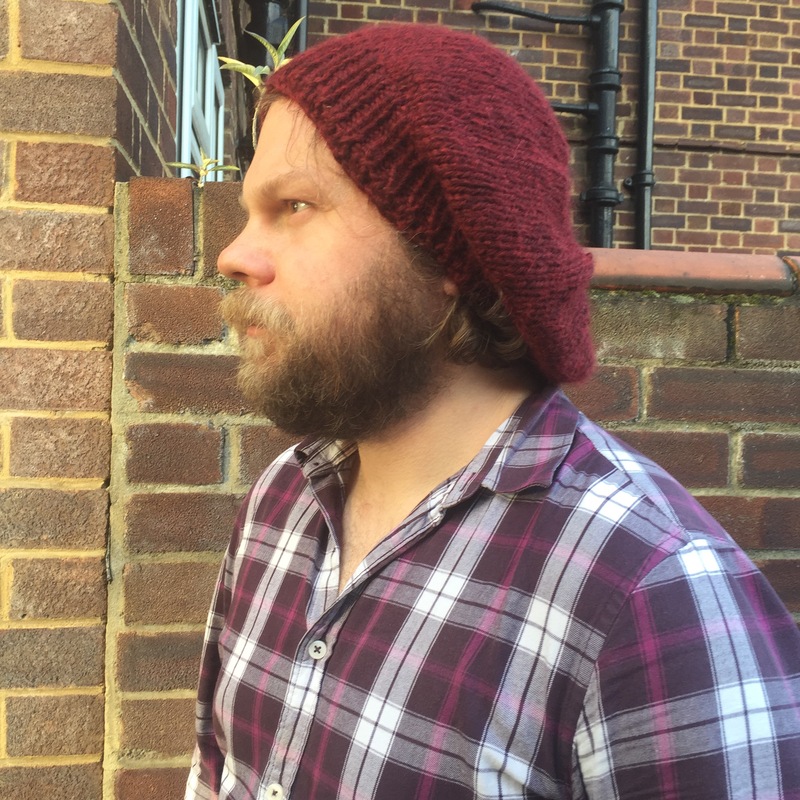 However I have finished this hat for Jon…..
It’s another Bobeek hat, Jon liked my Red hat so much he wanted his own model. We went to Loop in Islington, which seemed a good idea at the time as John Lewis and Liberty are not amazing for masculine coloured chunky wools. Of course I needed more than one ball. 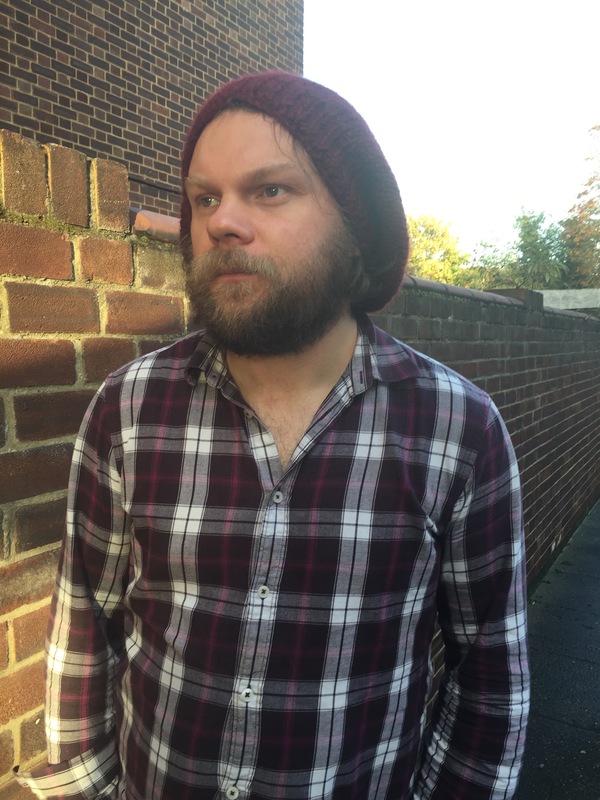 Luckily it was by a respectable amount rather than like one row or something, but it’s now a £30 hat. & my knitting is not up to the quality needed for £30 hats. Grrrr! It has also come up a bit larger on the top bit than my other two versions. The band is ok and the right size, but I think with it being slightly thicker yarn it’s a fatter hat than the other two were. Luckily Jon likes this, & likes the hat, so it’s all good. & he’s accidentally chosen a stunningly fashionable colour, so he’s really happy. Next up for knitting is a pair of wristlets and a neckband for me out of Cascade heather, am a little apprehensive about this as it will be my first time playing with cable since I took knitting lessons. 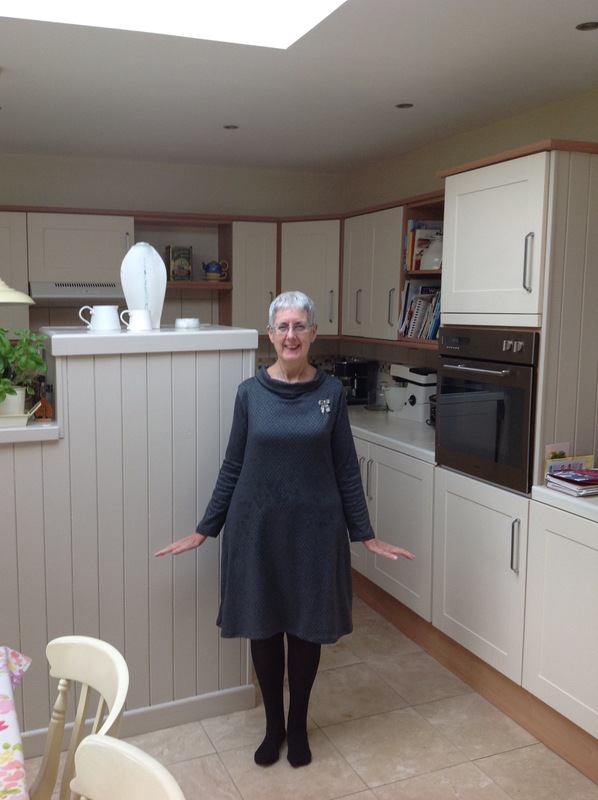 In other satisfied customer news, heres a picture of my Mum in the Tilly and the Buttons Coco dress I made her in summer…..
Mum really likes it.& now she is thinking of getting into sewing again (she was awesome in the 70’s) to make her own versions. Anyway, I’m aiming to have the dress I’m working on finished for Halloween, so I shouldn’t be absent for as long a time next post.